Women account for nearly half of the total population of our country. Keeping them uneducated is bad for a developing nation. When a woman remains uneducated she can’t contribute to the progress of the nation. 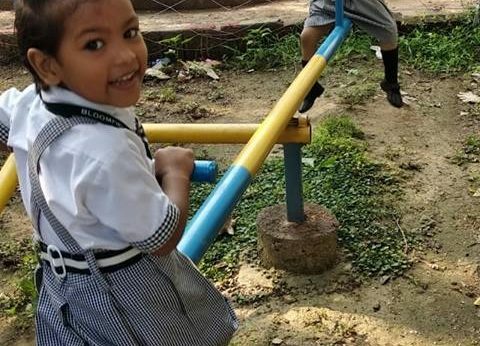 In recent years, the number of girls attending the school has increased in number but there are irregularities between the number of boys attending the school and the number of girls attending the school. In the case of girls, the numbers are still very low. We need to challenge the prejudices that keep a girl away from school and education. Women account for about two-thirds of the world’s illiterate population. There are innumerable girls who are not receiving the basic education. This has led to the number of social problems ranging from poverty to unemployment to other social issues as well. The literacy rate among the women living in rural areas is just 31%. These figures are staggering. Education is the best thing that can help in empowering women. Education widens their horizons and broadens the outlook and makes one aware of their rights. There are enough examples worldwide that imply that improvements in girls’ education benefit the status of the family and empower women. An educated woman has the skills and information that will help her to be a better mother, employee and a citizen. It benefits all. Children with educated mothers are less likely to die before their first birthday. Education gives them an insight into the contact of various diseases like HIV & AIDS which can help them protect themselves against those diseases. So it’s less likely for them to pass it on to their children. Even primary education alone helps reduce infant mortality significantly, and secondary education helps even more. The educated women who have knowledge of basic health care are less likely to die during pregnancy and childbirth. She can take more care of herself during the postpartum period thus reducing the chances of death. Better knowledge about healthcare reduces the chances of catching some of the common diseases. When a woman is educated, she has a greater chance of getting a good job, joining the workforce and hence getting paid. This way she has a chance to escape poverty and lead healthier and more productive lives where she can raise her standard of living and ultimately contribute to the nation. Child marriage is a menace in Indian society. Even girls as young as 6 are married away by their parents. This way she isn’t able to go to school and get her education. She becomes pregnant at a very young and is incapable of raising a child. Studies reveal that on an average, for every year a girl stays in school past fifth grade, her marriage is delayed a year. There is a whopping population of around 1.3 billion people. Educated women can help in the reduction of the growing population. They tend to have fewer babies as they know of better pregnancy control tips and procedures. Women contribute to the half of the total population but their representation in politics is so less. We need women representatives who can raise the issues related to women and other general issues in government assemblies. Only education can give them that confidence and guidance to make their presence felt in the politics of the country. Educated girls and women are less likely to be victims of domestic and sexual violence because they know their rights better. An African proverb says, “If we educate a boy, we educate one person. If we educate a girl, we educate a family – and a whole nation.” When a boy is educated he often leaves the village in search of a job but a girl usually stays at home. Thus her effect on family and a community is more than that of a boy.